A classic Teriyaki sauce with a luxury black garlic twist, marinate your chicken or seafood for a gourmet touch. Recommended for stews and casseroles for extra flavour. Drizzle on noodles and in stir fries to liven up a simple meal. Drizzle on grilled fish or marinate strips of beef and add to a salad with toasted sesame seeds. 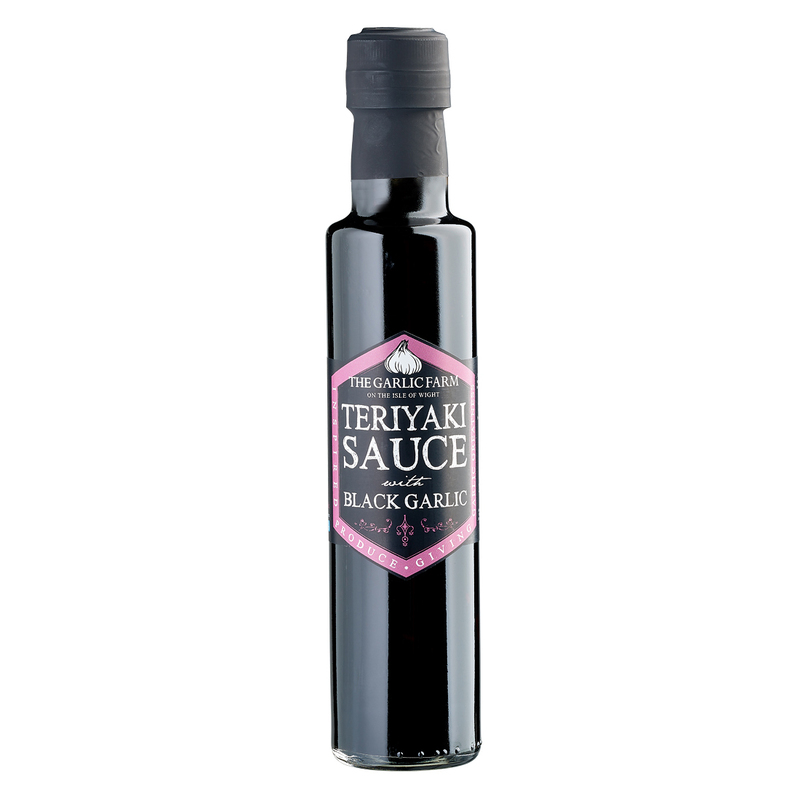 Dark Soy Sauce (water, soy beans, wheat, salt), mirin (glucose syrup, water, fermented rice extract (water, rice, alcohol, salt, citric acid, koji (enzyme)), sucrose, spirit vinegar, phosphoric acid (acidity regulator), cane molasses), Black Treacle, Lime juice, Black Garlic (6%), Lime juice (3%), Chilli Puree (cayenne hot peppers, salt, acetic (acidifier)). For allergens see ingredients in bold.